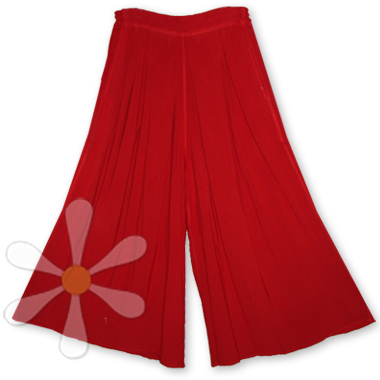 Another fabulous pant style with traditional trapunto topstitching as just one of its many charms! These deliciously soft palazzos are cut extra w-i-d-e so they're roomy and comfortable -- and of course as yummy as jammies. The waistband features a flattering front tab decorated in traditional chevron stitching with comfortable wide elastic around the rest, stitched in rows to resist rolling.